Monday - Friday: 8:30 am - 6:00 pm. Saturday - Sunday: 9:00 am - 5:00 pm. Check below to see our holiday hours. All dogs must enter and exit on a leash. All cats must enter and exit in a crate. All pets will be charged for the day if picked up after checkout time. All pets are charged for the day regardless of time checked in. We recommend that you check-in your pet BEFORE 3:30pm on your day of arrival. Rates may vary due to Size, Temperament and Individual Needs of your pet*. CHRISTMAS RESERVATIONS, RESERVE 6 – 11 MONTHS IN ADVANCE. A 50% DEPOSIT IS REQUIRED WHEN RESERVING OVER CHRISTMAS. DEPOSITS ARE FULLY REFUNDABLE 30 DAYS PRIOR TO ARRIVAL DATE. We are sorry, but for the sanitation and health of your pet, we cannot accept any personal belongings such as bedding, toys and dishes. *Rates may vary due to size, temperament, and individual needs of your pet. Bichon, Boston T, Cairn terrier, Chihuahua, Dashie, Jack Russell, Lhasa Apso, Maltese, Min. Poodle, Pomeranian, Pug, Shih tzu, Min. Schnauzer, Westie, Yorkie. American Eskimo, Beagle, Brittany, Cavalier, Cocker, Corgi, Heeler, Sheltie, Shiba Inu, Springer, Wheaton. Airedale, Aussie, Basset Hound, Border Collie, Boxer, Bulldog, Collie, Dalmatian, Doberman, Greyhound, Golden Retriever, Husky, Labs, Pointer, Rottweiler, St.Poodle, Shepherd, Shar-Pei, Weimaraner. Akita, Bernese, Bouvier, Chow, Great Dane, Malamute, Mastiff, Newfoundlander, Pitbull, Pyrenees, Samoyed, St. Bernard, Wolfhound. *Family discount applies on daily rate only. *Due to their needs, furry friends & feathered friends are required to have their own cages, food and personal belongings. *Discounts do not apply to feathered and other furry friends. *Senior citizens get a 10% discount. Medications and vitamin supplements - $1.00 per application for each medication and/or vitamin supplement. *Medical Care (additional costs are determined on individual needs). There will be a $60/hr surcharge for animals admitted outside regular office hours. Please note that special arrangements must be made for this admission during regular office hours. Puppies need to be 16 weeks of age to board and have had all 3 sets of puppy vaccinations, including rabies. All pets arriving must be in good health with vaccination record current. Any pet with signs of pest infestations will be bathed and dipped at the owners expense. Any pet in the kennel in need of a bath will be "kennel bathed" at a nominal fee. Any pet requiring medical attention will be taken to the veterinarian. Charges will be at the owner's expense. Every effort will be taken to contact pet owner prior to treatment. Unfortunately, we do not take care of diabetic pets. Please don’t forget your vaccination record! This information is required for boarding. Please make sure when you arrive at the Pet Resort, you bring your pet in on a leash. We remove choke collars prior to boarding and return them and your leashes, harnesses back to you. Should your pet require Veterinary treatment, we need a phone number where you can be reached or an emergency contact person who can make a decision on your behalf. Charges will be at the owners expense for any medical attention. You must inform the Pet Resort the name of the person who will be picking up your pet. Your pet will not be released to anyone other than the registered pet owner. Payment must be received before the pet is released. 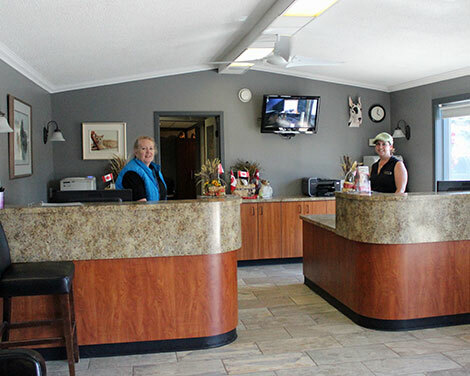 We recommend that you check-in your pet BEFORE 3:30pm on the day of your arrival. Our food preparation kitchens accommodate all needs. We have freezers, refrigeration, microwaves to prepare all dietary needs. We recommend you bring your pets own food to avoid upset tummies due to a change of diet. Please bring along only enough for his/her stay. A stackable Rubbermaid type container is preferred. Please don’t forget your vaccinations records! This information is required for boarding. Please make sure when you arrive at the Pet Resort, you bring you’re pet in on a leash. We remove choke collars prior to boarding and return them and your leashes, harnesses back to you.